Here’s a question for you…do you take your age into consideration when making your writing career goals? Your life goals that aren’t writing related? Have you changed your goals based on how old you are and what you have or haven’t accomplished? I had my first essay published in a major newspaper when I was 42. My first novel was published by St. Martin’s Press when I was 49. At 50, I’m ready to ramp up, not slow down, or even accept the status quo in anything. I do know that birthdays are milestones, a way to mark time and accomplishments. Even in THE GOOD NEIGHBOR, my next novel, my main character, Izzy Lane, uses her own 40th birthday as a deadline to make a big change in her life. Birthdays are relatable. We all have them (when we’re lucky). Today, Meredith Schorr shares her fear of turning 30 and then 40 — and how her next book tackles the age-old topic of women aging–what that means, and what it doesn’t. Please welcome Meredith to WFW! As a voracious fan of humorous women’s fiction, I’ve read a considerable number of books about a twenty-nine year old woman who is freaking out about the prospect of being single at the ripe old age of thirty. The running theme is that thirty is a major life milestone by which you must be married or else you’ll be designated a spinster. These books make me roll my eyes since I didn’t give much thought to my unmarried status or the viability of my ovaries when I turned thirty. Perhaps this was because I was still in the twenty-something partying phase and had so many friends who were single too. In fact, only a small percentage of my social circle was married when I turned thirty. To me, thirty is still very young, there are many fertile years left, and most women don’t even know what they want until they’ve lived through their twenties and had a chance to figure it out. In my humble opinion, it would behoove a woman to wait until at least thirty to consider getting married. Turning forty, well that was an entirely different animal for me. I was not okay with it. In fact, I was terrified. From the day I turned thirty-nine, I counted down the months and then the weeks and then the days until my fortieth birthday with an increasing sense of dread and nausea in my belly. This is because aside from several more expertly-covered gray hairs, I didn’t look much different at thirty-nine than I did at twenty-nine and although my partying preferences had definitely slowed down a bit—choosing to have drinks before dinner instead of drinks instead of dinner—my lifestyle was the same as well. I still wasn’t married and I still didn’t have kids. Although a decade prior, I was not concerned by this, I definitely was now. I was afraid after I turned forty, my genes would fail me and I would begin to look older and lose my appeal to men before I found someone to love who would love me back. I was afraid people would start to refer to me behind my back as an old maid or question my sexual preferences. Although I’m not certain I want children, I didn’t like the idea that if I waited much longer, it might not be my decision to make. In short, forty felt like some magical number by which I had to make things happen or risk losing my window to settle down. I was not alone in this fear. I had several attractive and intelligent girlfriends in my age-range who were also single and counting down to their fortieth birthday with dread. Although it made me feel better to know I was not the only one, the relief was not substantial, especially because some of my friends spent our nights out complaining about the lack of decent, attractive, available men. Almost every book I’ve read about a woman in my age group focused on her early mid-life crisis. Either she was facing an identity crisis, having spent the last decade taking care of her husband and raising kids, or she was divorced after her husband left her for another woman, or she was divorced and sleeping with a twenty-five year old man, or her husband had passed away and she was looking for a second chance at love. Many of these novels were very interesting and well-written, but I yearned for a book that spoke to me and my friends—about women who, for whatever reason, were still single at forty and still seeking their first chance at real, committed, long-term love. And so I decided to write it. My fourth novel, How Do You Know? is being released on December 2nd by Booktrope. It is about thirty-nine year old Maggie Piper who is torn between a desire to settle down by her fortieth birthday and concern that all is not perfect in her existing relationship. Although the book is fictional, through Maggie I was able to express the anxiety I faced as I approached the big 4.0. For the record, turning forty was not so bad for me after all. Admittedly, it was probably because I had an amazing boyfriend at the time. We’ve since broken up and I am single (but dating) again. Although my worries have not disappeared, it has occurred to me that while my relationship status might not have changed since my early thirties, I have accomplished so much in the past decade of which I am incredibly proud, including the publication of three (almost four) successful novels. I try to keep this in mind when I find myself engaging in a pity party. Relationships are a big part of life, but other aspects should not be underrated. Just because I haven’t reached certain life milestones at the same rate as others doesn’t mean I won’t reach them eventually and when it is right. After all, there are no deadlines in love. A born and bred New Yorker, Meredith Schorr discovered her passion for writing when she began to enjoy drafting work-related emails way more than she was probably supposed to, and was famous among her friends for writing witty birthday cards. 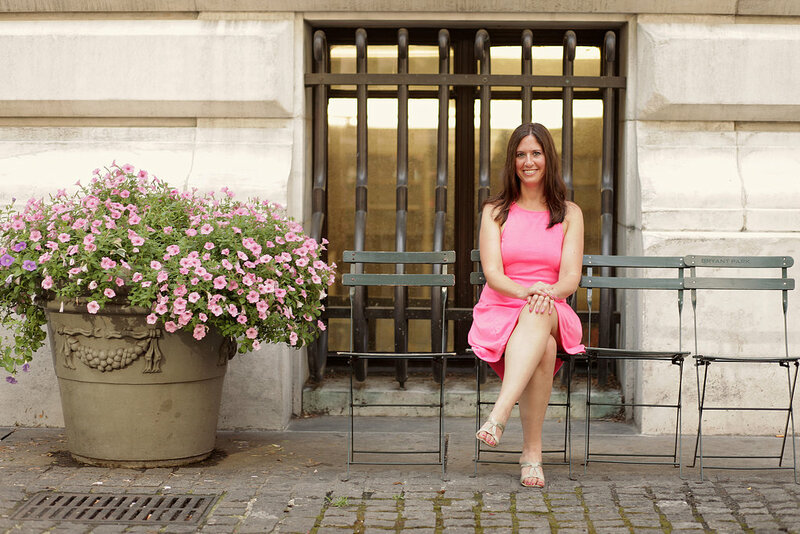 After trying her hand writing children’s stories and blogging her personal experiences, Meredith found her calling writing “real chick lit for real chicks.” When Meredith is not hard at work on her current work in progress, she spends her days as a trademark paralegal. She is a loyal New York Yankees fan and an avid runner. Meredith has published three novels, Just Friends with Benefits, A State of Jane and Blogger Girl. Here’s a link to Meredith’s books on Amazon, and here’s a link to pre-order How Do You Know? Thanks for your thoughts, Meredith. 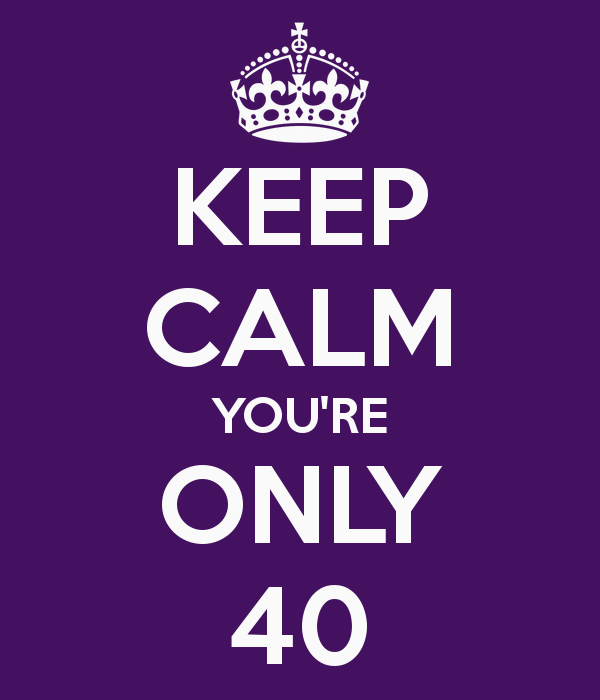 And hooray for 40. I had my 3rd child at 42 and I’m still striving and shooting for my goals. Life is what we make it. “There are no deadlines in love.” Those words have never been truer. The world is on our side, Meredith, and to quip a cliche, in today’s society, forty is the new thirty. I, for one, cried all day on the thirtieth birthday because I was no longer a “girl.” Although I was fortunate enough to get the good family genes that kept me getting carded when I bought a bottle of wine until I was in my mid thirties. I found, though, forty to be a turning point for me in that I finally had enough life experience behind me to see life through a wider lens. My writing career didn’t take off until I was in my mid-forties, and now, with fifty-seven looming on the horizon, it’s getting better every day. Age is a number. Like wine, and with the right attitude, we can get better the older we get. I loved your post. I didn’t feel “that way” until 60 was approaching, when I was suddenly afraid everything would be over. That was four years ago and all is still happy and still productive, though the genes did fail me! Thanks so much, Liz. It’s interesting to hear about what age(s) have the greatest effect on women. Everyone is different, but being happy is what’s most important. Meredith, what a beautifully written post. “There are no deadlines in love.” Since I turned forty, I have been trying to apply that credo to everything I do. As long as we are breathing, there are no deadlines on getting what we want. I was lucky enough to beta read “How Do You Know,” and it perfectly captures Maggie’s anxiety, fear, and hope. It is a wonderful book. Amy Sue, I love what you said about being ready to ramp it up at 50. Though we may not be the stay-up-all-night girls we were in our twenties, we are certainly ready to go at life with gusto. And Meredith, what you have accomplished is phenomenal. I went the opposite direction regarding family – I married while in college, dropped out to support us, and celebrated my 30th birthday 7 months pregnant with our third child, instead of the over-the-hill party I had planned! But as much as I feel like I’ve had a mundane life, it’s actually been filled with a LOT of great stuff, including living in Ireland for a few years! And when we came back four years ago, having just celebrated my 50th birthday, I returned to college. I earned (and I do mean EARNED) my Bachelor’s degree in May this year, my first book came out in August, and I’m on my way. Slow down at 50? Never! Awesome post Meredith! I also love the line “There are no deadlines in love.” It is amazing how certain ages affect us…. and cause us to evaluate our lives. For me, turning 25 was the hardest age. I wasn’t happy with anything in my life at the time…. I didn’t realize how much I was afraid and dreaded turning 40 until right before my birthday… But a wise older friend (43) told me something magical happens when you hit 40 – you somehow become more comfortable in your skin than ever before… I didn’t believe her but she was right. Somehow I started also reflecting on what I have done rather that what I didn’t yet do…. If 60 is the new 40, I guess we’re in the same spot, Meredith! But then if 40’s the new 30, I’m not sure where that puts me. In any case, none of it is worth worrying over. We just need to enjoy each day to the fullest … and keep writing! Meredith, there’s worse things than turning 40…I’ll be 60 in a year and a few months. Now *that’s* daunting. Thanks for your thoughtful post. I think it’s a shame that women are put on such a weirdly arbitrary deadline to achieve certain things. Good on you for kicking those ideas to the curb! Even at 22, I can sometimes feel overwhelmed and ‘behind’ all my peers. Congrats on your newest novel, and livin’ the dream.